You can’t seem to avoid holiday traveling if you have a large extended family. There are always get-togethers at Grandma’s or holiday dinners at Uncle Ed’s. 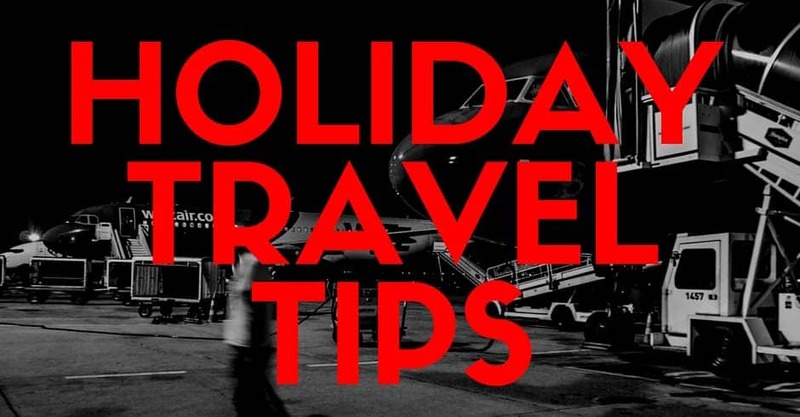 Getting to these holiday functions requires smart traveling planning and knowing some good traveling tips can come in handy. Long car rides can be especially challenging at any time of year, but add in a couple of excited youngsters and you may have some extra need for patience and organizational skills. Involve the little ones in the planning stages so that they will look forward to seeing something that they helped to plan. Allow for extra travel time just in case there are traffic jams, or weather-related road conditions that slow you down. Holiday traveling with gifts has some special precautions as well when it comes to the security gates. Do not spend the time or money wrapping your gifts in gaily-colored wrapping paper because you will have to unwrap them in front of the guards. To avoid hassle, either wait until you arrive at your destination to wrap them, or mail them separately to arrive at your destination. Mailing them separately could also save you money as you may have to pay a fee if they put you overweight on the baggage. There is not much you can do about snowstorms and other weather delays, but booking early-in-the-day flights will give you time to arrange other options for coping with these delays, like booking later flights or making other travel arrangements in order to fix the situation and still arrive at Christmas dinner on time. Always check the status of your flight in advance of arriving at the airport. You can check the status of your flight on the airline website. You can usually sign up for automatic flight status notification right on the website so you can be notified by text message on your cell phone. That airport website comes in handy when it comes to knowing where the nearest place to eat is at the airport and how close it is to your departure gate. Sometimes if you have a lengthly delay you might even find that your airport has a spa.